Ladies and Gentleman! 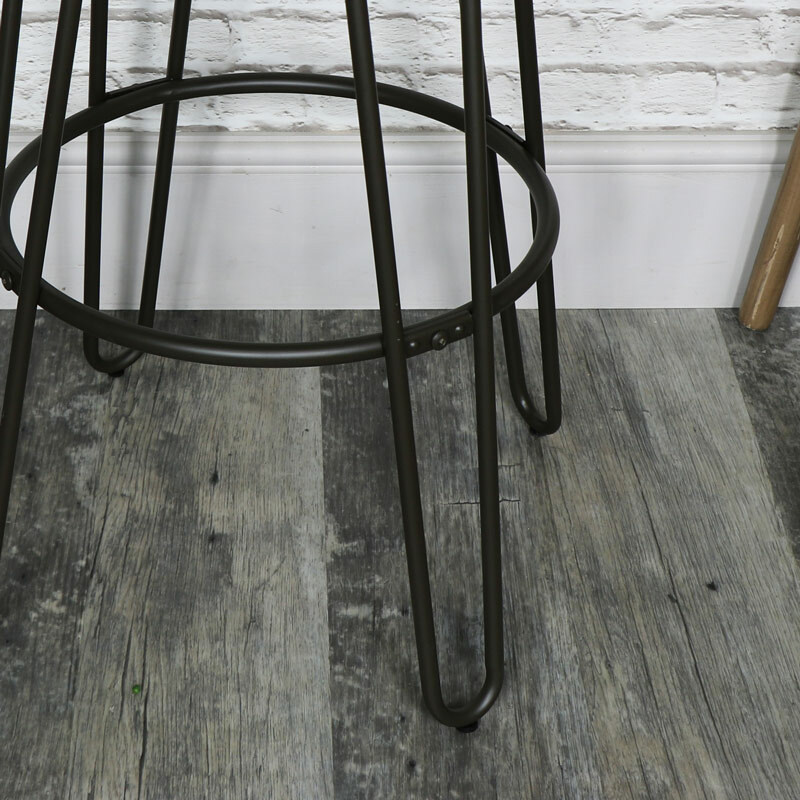 Take your seat upon our gorgeous industrial bar stool! Make your guests jealous as they perch themselves upon these retro stools in your kitchen or dining room. Four metal hair pin legs crowned with a dark wood top give it a complete industrial finish perfect for both modern and rustic interiors. 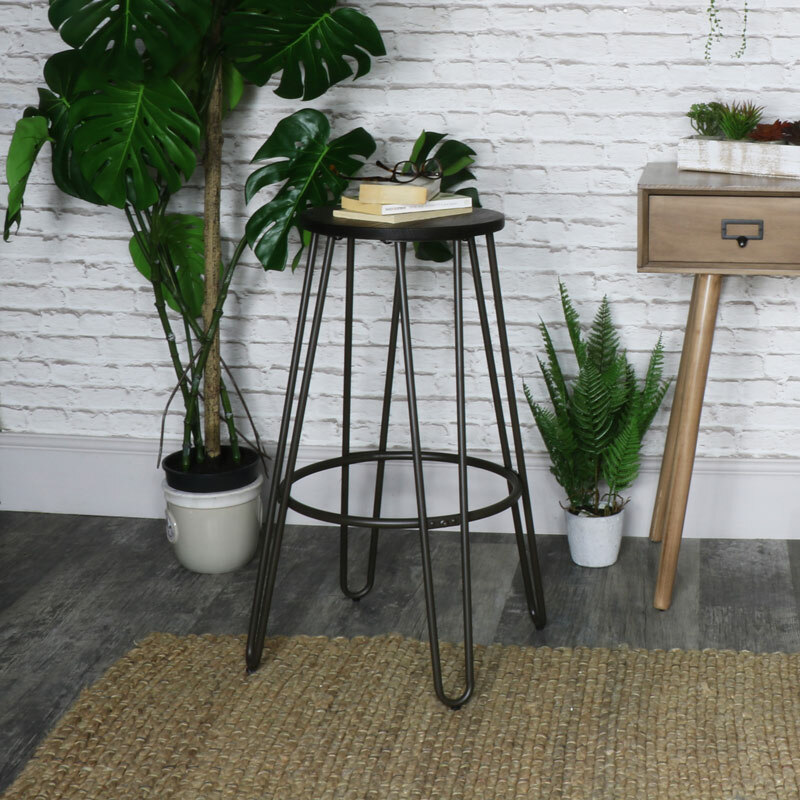 If you like the rustic look, like it has been taken straight from an industrial factory then these stool are a perfect fit. Ladies and Gentleman! 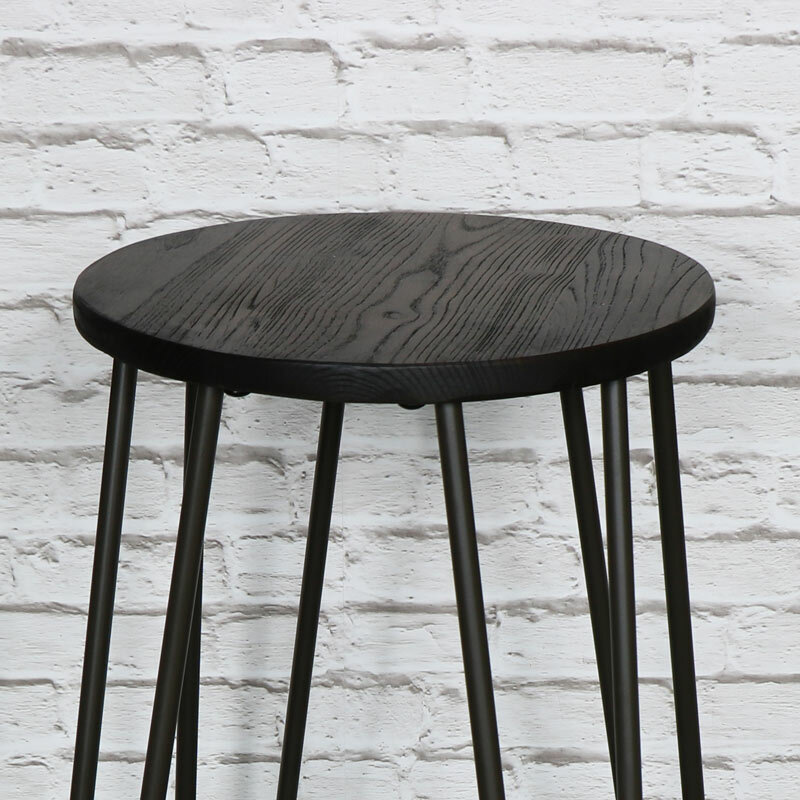 Take your seat upon our gorgeous industrial bar stool! Make your guests jealous as they perch themselves upon these retro stools in your kitchen or dining room. Four metal hair pin legs crowned with a dark wood top give it a complete industrial finish perfect for both modern and rustic interiors. 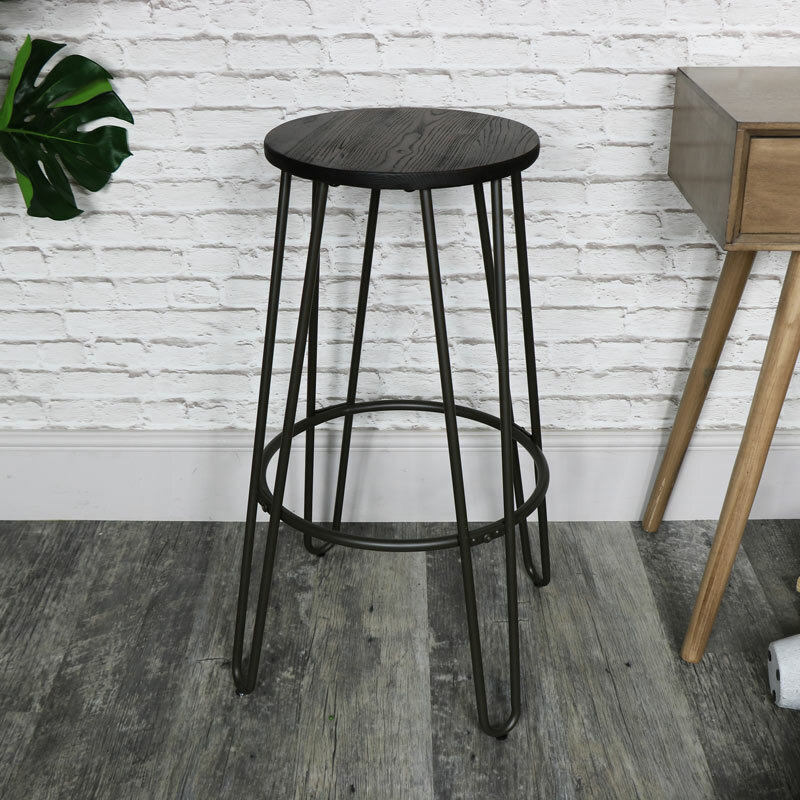 If you like the rustic look, like it has been taken straight from an industrial factory then these stool are a perfect fit. We have a range of seating available from occasional stools to bar stool and dining chairs. If industrial furniture is what your looking for then have a look at the amazing and unique pieces we have show cased on our website. Let us help you complete your rustic / industrial interior.